The U.S. Mint has been under the control of the United States government since its creation by Congress. It produces and issues coins in the United States, and also provides investment products. The U.S. Mint was created by the United States Congress with the implementation of the Coinage Act, on April 2nd, 1792, before being placed under control of the State Department in 1873. Its headquarters are in Washington, D.C., but the Mint owns several sites across the nation: Philadelphia, West Point, Denver, San Francisco and Fort Knox. The institution, headed by Rhett Jeppson, employs more than 2,800 people. The U.S. Mint is the largest coin-producing entity in the world. The sheer amount of minted coins is stupefying: Denver and Philadelphia can each produce tens of millions of coins every day. 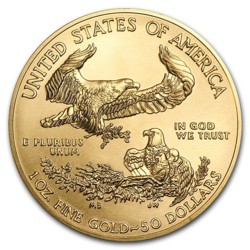 2014 was a record year for the U.S. Mint, when it sold over 700,000 Gold Eagle coins and 44,000,000 Silver Eagle coins. Its main mission is to manage the production of circulating coins in the United States. However, the U.S. Mint also produces investment pieces that, as years go by, become references for investors all over the world. These include the famous American Eagle, an almost-mythical coin that’s easily recognizable by the reproduction of the Statue of Liberty on the obverse and the symbolic bald eagle on the reverse. 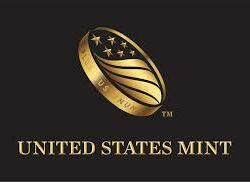 The U.S. Mint mints between 11 and 20 billion coins each year, but does not produce any gold or silver bars. International standards for gold bullion coins are fully respected. The Mint offers several sizes, such as 1/4oz or 1/2oz. 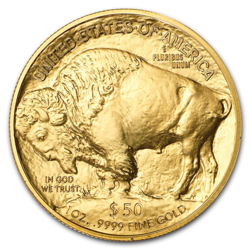 Even though the reference remains the American Eagle, other investment coins such as the American Buffalo are relatively popular as well. Besides minting the circulating coins, the U.S. Mint issues series of collectible coins and commemorative medallions. It designs original packaging for these collectibles. The U.S. Treasury’s Fort Knox depot, though not a minting plant, also belongs to the U.S. Mint. The enormous gold and silver reserves of the United States and other countries are stored there. The fact that these coins are produced by an organism of the world’s first power ensures their quality. The U.S. Mint uses the most advanced production processes in the world. The weight, fineness and content of each investment coin are guaranteed by the United States government. 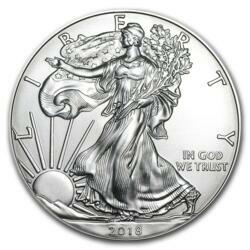 Silver and gold American Eagle investment coins are a reference for investors, with 916.007 fineness. The U.S. Mint is not on the prestigious LBMA’s Good Delivery List, since that applies only to refiners that produce bullion bars, but its coins are of the utmost quality. Under Executive Order EO 13514, the U.S. Mint must abide by sustainable development objectives aiming to reduce air and water pollution, and solid waste and greenhouse gas emissions during the production of coins.